CAPITOLFEST, now in its twelfth year, is a film festival devoted to die-hard cinephiles and is held at the historic 1,788-seat movie palace, the Capitol Theatre, located in Rome, New York. The now historic Capitol was built as a movie house and opened December 10, 1928, with an all-movie program including the First National feature, Lilac Time. The Capitol Theatre remains the only building in Rome, New York (population 35,000) constructed for the specific purpose of exhibiting motion-pictures. Although the theatre received a modernistic face-lift in 1939, the auditorium is configured exactly as it was in 1928, and much of the original decor remains. Also still in place is the theatre's three-manual, 10-rank Moller theatre organ. Restoration work on the organ was started in 2002, and since then it has been used on a regular basis to accompany silent movies. To walk through the front door is to step back into time and appreciate the value of a movie palace -- a time gone by when theatre goers were treated like royalty. Today, most theaters, often referred to as a "movieplex," takes your money, hands to a ticket and attempts to rake as much money as they can on the concessions. You are not thanked for coming to the theatre, and rarely are you invited to "enjoy the picture." But at Capitolfest, you receive a warm welcome and hearty handshake. 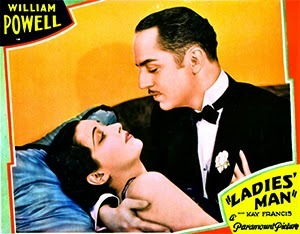 Lobby card for Ladies' Man (1931, Paramount). All of the films screened at the Capitol are shown in 35mm prints on the theatre's carbon-arc, variable-speed projectors -- a format that is quickly fading away into obsolescence as a result of the rising digital trend. At Cinefest in Syracuse this past year, the annual migration to the Holiday Inn in Liverpool served as the sole venue for vintage films. Saturday usually means a large number of attendees traveling to the local movie theatre to screen old films on 35mm. But when the movie theatre switched to digital the past year, convention attendees were forced to remain at the hotel and watch movies on 16mm. At Capitolfest, like many film festivals, prints come from archives such as the Library of Congress, UCLA Film and Television Archive, Universal Pictures, and Goldwyn Films, as well as from private collections. For cinephiles (that's how film buffs properly refer to themselves), watching rarely-seen movies is the highlight of the weekend. Extremely rare talking films and equally rare silents make up most of the bill. And yes, each of the silents were accompanied by some of the world's foremost exponents of authentic silent movie accompaniment. Three outstanding theatre organists are engaged every year to fit the bill. As you probably guessed, the goal of the Capitol Theatre is not just to show these vintage films, but to re-create the experience of seeing these movies when they were new. The historic atmosphere helps add to the emotions. This year's festival will include a tribute to William Powell, showcasing the actor in five features from the silent and talkie years. 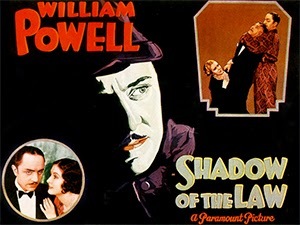 This includes Ladies' Man (1931, Paramount), Pointed Heels (1929, Paramount), Shadow of the Law (1930, Paramount), The Bright Shawl (1923, Paramount) and Forgotten Faces (1928, Paramount). Also added to the lineup is Roman Scandals, screened on Friday evening from an archival 35mm print from Samuel Goldwyn Films. There are intermissions within each session of movies (featuring live organ music) and relatively lengthy breaks between sessions, allowing attendees to savor the films. Thus the convention slogan is "A vacation -- not a marathon." Approximately 90 percent of Capitolfest attendees comes from out of town but, whether you are a local or willing to travel a distance, the film festival is recommended. Shop around for the best rates but ask for the Capitolfest rate as most of the hotels have a discount rate. Econo Lodge and Quality Inn, by the way, are within walking distance of the Capitol Theatre. This year's dates are August 8 to 10, 2014. Here, on the site, you'll find details about the various movies being screened. I attend a number of film festivals every year. I find it comforting to relax for two or three days, out of state and out of mind, watching old movies in a dark theatre with a crowd of people who have a deep appreciation for the movies and share the same passion for classic gems. I always read the program guides to learn more about the movies I watch (and the ones I cannot watch). Capitolfest, however, I have never been to personally and wish I could. But the weekend, which remains the same every year, always falls on the same weekend of a convention I am already scheduled to attend. One of these days I will be able to make the trek up there and report with photographs the fun everyone in Rome, NY keeps talking about. But don't let me stop you. Book your hotel room and make plans to travel there this August. (If you live in Ohio, Pulpfest is closer to you and held on the same weekend and you can find information here: www.pulpfest.com) At the very least, check out their site and read up on the movies they are screening this year to brush up on your knowledge of early (and rare) William Powell movies. "We're almost ten years old so we're definitely not a niche thing any more so that kind of angle for coolness is done for us," Facebook CEO Mark Zuckerberg said almost a year ago during a report to his stockholders, nothing that losing younger Facebook members to competing social networks was a known problem. A few months ago I asked a young girl about the age of 12 what she does on her iTouch all day. Does she communicate on Facebook? No. She listens to podcasts and internet radio. 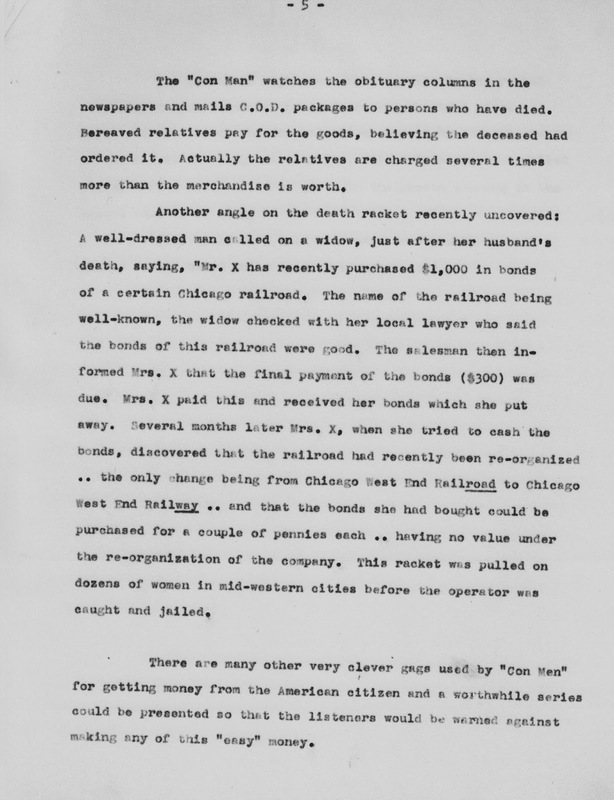 Seems the report, as indicated in an expose on the evening news, was not exaggerating. Young children today prefer something more hip than Facebook. And with thousands of internet radio stations playing old-time radio, a question arises: which station or stations to listen to? Recommending my personal favorites these days seems to spark aggression against me from radio hosts who feel an endorsement for another radio station, other than their own, is a personal attack against them. I prefer to endorse any radio station that provides original programming and vintage radio broadcasts, regardless of who the radio hosts are. Avoiding recommendations and instead focusing on a newly-established site might be of interest to the folks reading my blog. And there is a new station on the block. The Bear Manor Media Radio Station was launched two months ago and has provided some valuable celebrity interviews and rare recordings that warrant review. Spearheaded by Joe Bevilacqua, the radio station provides exclusive content not found anywhere else. Last month I enjoyed an interview with June Foray, the voice of Rocky, the Flying Squirrel, and Bob Colonna, son of entertainer Jerry Colonna. 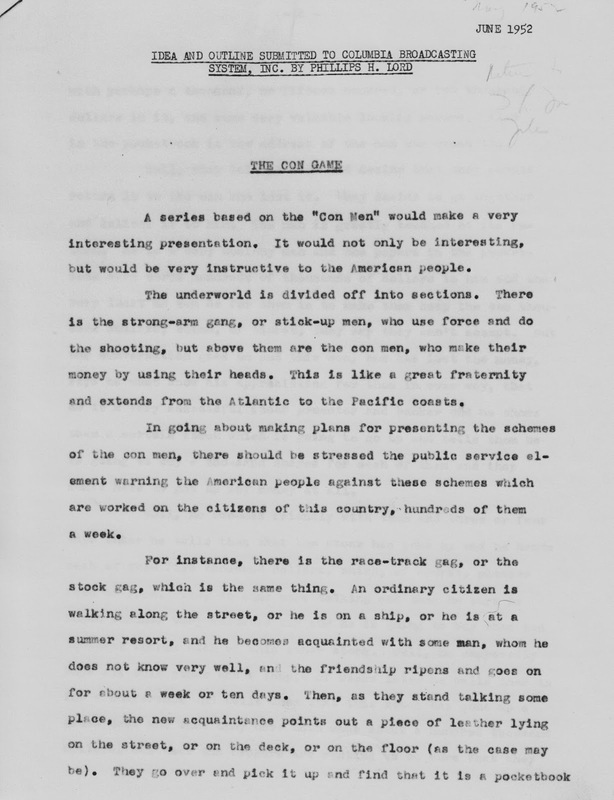 Audio clips from rare radio broadcasts and television programs were interlaced between the interviews as a refresher course to the characters they voiced on television and radio, along with some background provided by the celebs "in their own words." From both an entertainment and historic point of view, I found those interviews fascinating and enjoyable. I was craving for more. Running an internet radio station 24-7 is complex and time-consuming. Ask any radio show host seeking material to fill the hours. What Joe came up with was 22 hours of programming every month that virtually plays on a loop, so you can tune in to the station any time and listen to the programs. This means if your schedule is busy in during the first half of June (just as mine), you can tune in to the station during the later part of June and not miss the monthly offerings. New programming rotates starting July 1 and the first of every month. Host Joe Bevilacqua's celebrity guest this month is Bob Bergen, the current voice of Porky Pig. Also features a bonus at the conclusion of the broadcast: a Blast From The Past with The Jack Benny Show (November 25, 1951) with Verna Felton as Dennis Day's mother. Host Lorie Kellogg's monthly guest is Fredrick Tucker, author of the biography of Verna Felton, published by BearManor Media. Also features a bonus at the conclusion of the broadcast: another Blast From The Past: The Abbott and Costello Show (episode #48) from January 20, 1944 with Harold Peary and Verna Felton. Host Joe Bev presents cowboy star Tom Mix with a unique mix of new and old-time radio with "The Secret Mission" (May 8, 1945), "The Vanishing Village (August 13, 1945) and "The Bodiless Horseman (2010). Host Fred Frees (son of voice actor Paul Frees) presents an hour of audio readings from BearManor Media books, including: The Music of Al Lerner, Don't Wear Silver in the Winter by Janet Cantor Gari, Journey Thru the Unknown by Murray Langston, The Unknown Comic and a Fred Frees Presents Profile. An hour of recently discovered rare old-time radio programs that were recently pulled from archives, not heard since their original broadcasts. For those who collect old-time radio recordings, chances are you don't have these among your collection. 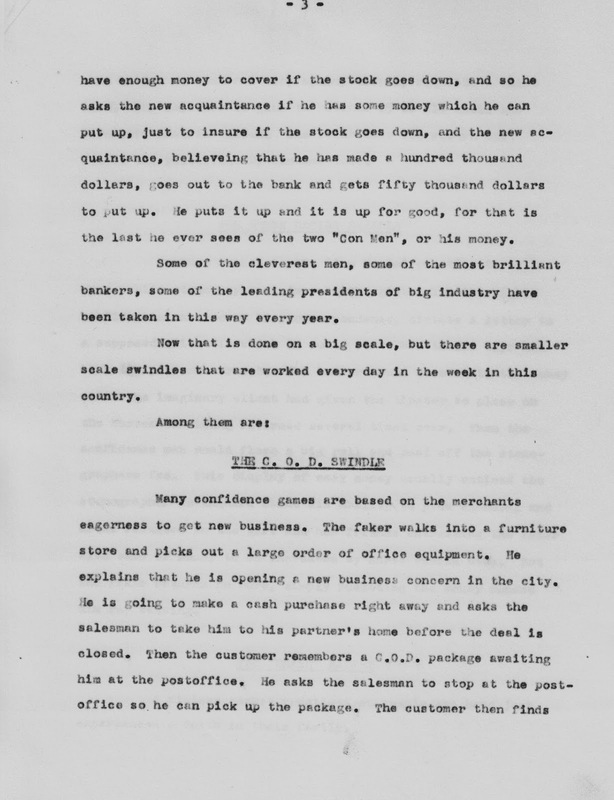 Why radio stations do not pull un-circlated radio programs from archives to highlight their program remains a mystery but here you will enjoy two rare goodies: The Cisco Kid (episode #17) "The Fighting Editor" and the premiere episode of Blondie from October 30, 1939. Timed with the commercial release of STELLA DALLAS on DVD, host Terry Salomonson presents an hour of old-time radio from his personal vault. This month's offering is Lux Radio Theatre (episode #145) with Barbara Sranwyck and John Boles starring in -- what else? -- STELLA DALLAS. 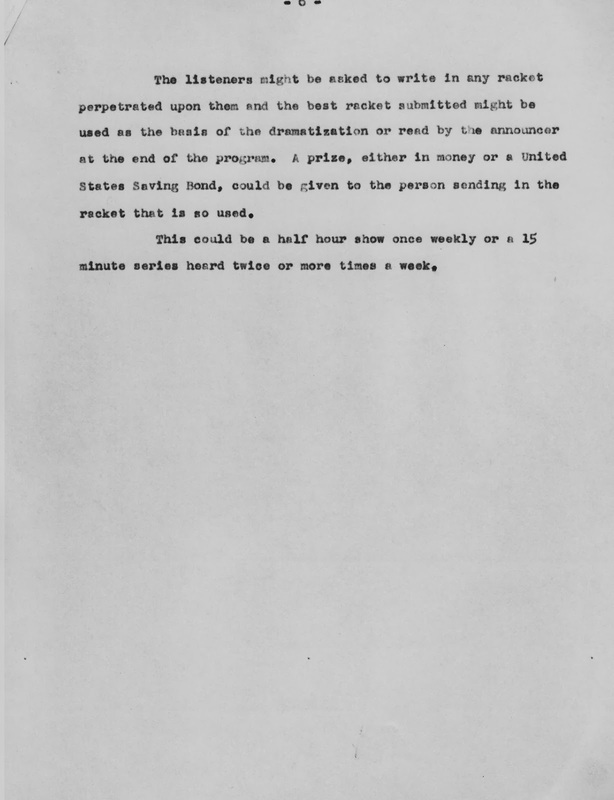 Originally broadcast on the evening of October 11, 1937. Host Chef Steve Mendoza presents Lost Frank Sinatra, Jack Benny, BearManor Summer Reading and Grilling with guest Dr. Glenn Berger, former recording engineer at A&R records under Phil Ramone and the music of Frank Sinatra. Host Joe Bev presents A Mel Blanc Festival, including Mel Blanc's demo tape, Bugs Bunny Meets The Tortoise, the 1962 Capitol Record, CBS Radio's Mel Blanc's Fix-it Shop (from September 3, 1946) and Ray Campi's 1974 interview with Mel Blanc. Another hour of recently discovered rare old-time radio not heard since their original broadcasts. This offering includes the premiere episode of A Date With Judy titled "Tiger" and Bulldog Drummond (from March 23, 1945), titled "A Dinner with Death." Should you not choose to listen to all 22 hours, but prefer to listen to specific programs on your own time, podcasts are available with a simple click on the same website. To be honest, my first impression of this new radio station was questionable, but the longer I listened to it, the more I discovered that it was different from the rest. Having listened to more than a few dozen internet radio stations that play old-time radio one program after another, something different was appreciated. And interviews with celebrities, kin of celebrities, authors, historians and scholars, with brief audio clips from rare recordings and "lost" old-time radio programs, this station is worth checking out. There is a big myth that circulates regarding GANG BUSTERS being the highest rated television program in history to ever be cancelled by the network. 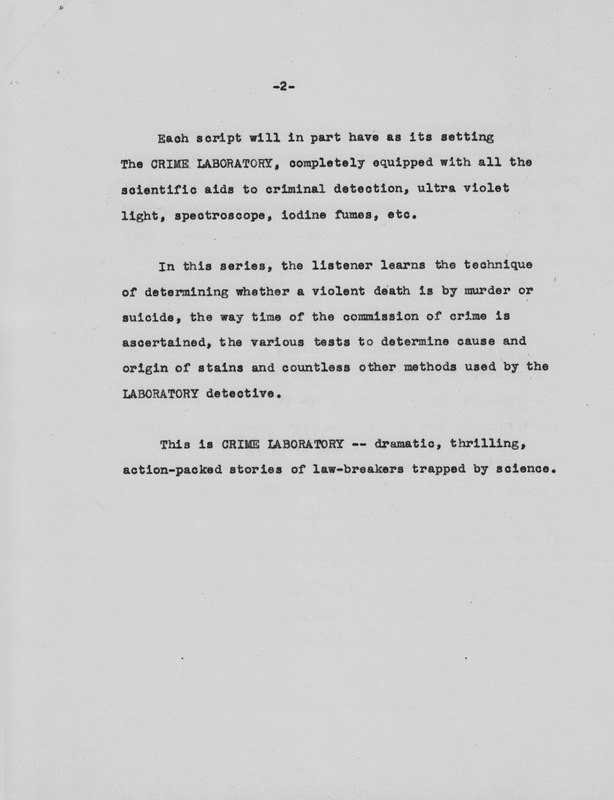 The program aired alternate with DRAGNET on NBC for their premiere year. DRAGNET was independently produced by Jack Webb. GANG BUSTERS was independently produced by Phillips H. Lord. But at the end of the season, Lord discovered the time involved to produce a live-action television series based on the radio program was too much to handle. He was unable to contractually commit for a second season and NBC understood. The television program was never "cancelled." It was simply never renewed until Lord was able to speed up production for a second series of GANG BUSTERS programs... which he succeeded a year later. 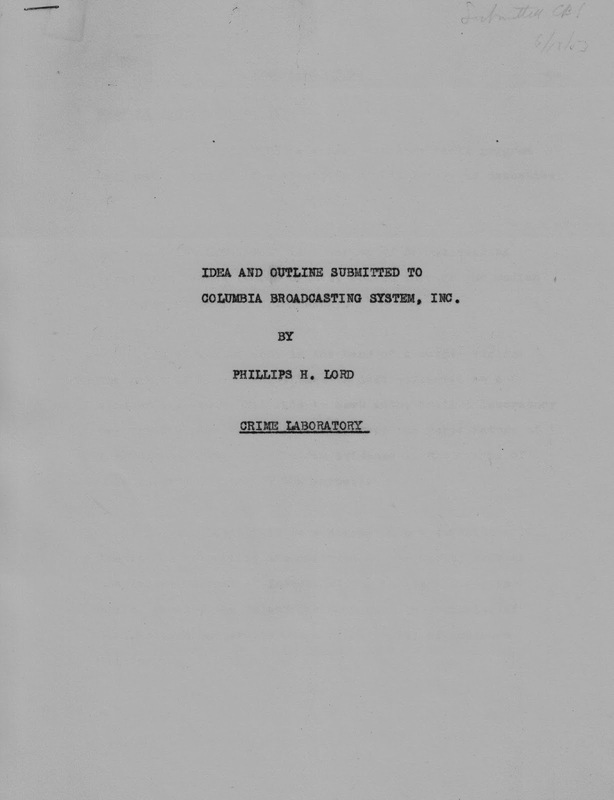 Among the television programs was an episode titled "Durable Mike Malloy," adapted from one of the radio scripts. The cost of production was excessive compared to the rest of the series and I always wondered why that was. This week I finally found out why. Lord had intentions of producing a spin-off television series titled DURABLE MIKE MALLOY: A CASE OF THE NEW YORK POLICE. The reason for the larger-than-usual budget was because this served as a pilot for potential sponsors. Lord proposed an hour-long series, according to a television outline, with an option for a condensed half-hour format if the sponsor did not want to invest too much money into the program. 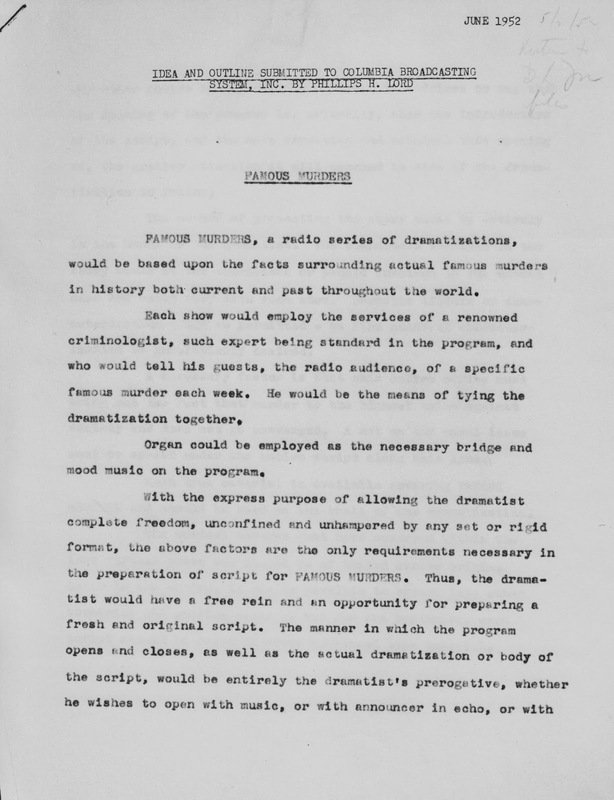 During the early fifties (1950-1952 to be exact), Lord created a number of mapped outlines for proposed radio programs that never met fruition. 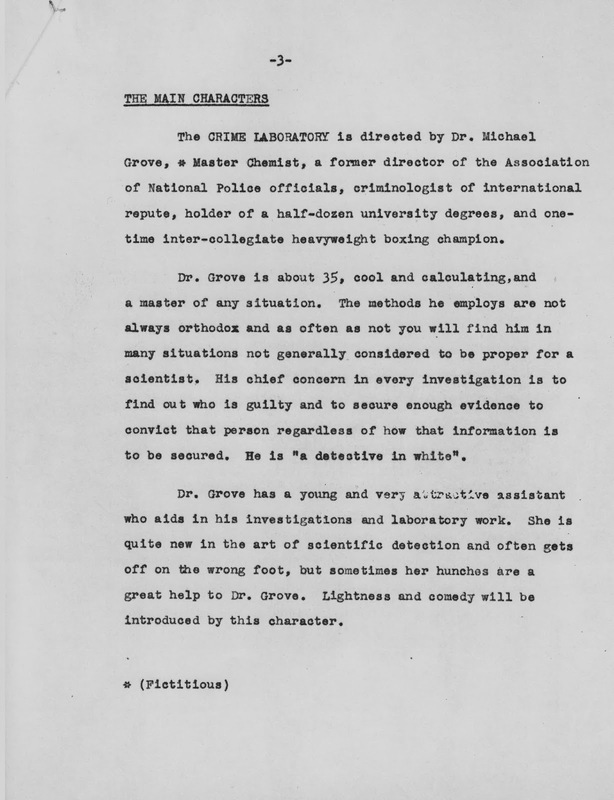 In 1951, he proposed to CBS a weekly radio program titled FAMOUS CRIMINALS IN NOVELS, described as "an interesting psychological series" and "a series that deals exclusively with the criminal activities of well-known characters in famous books." 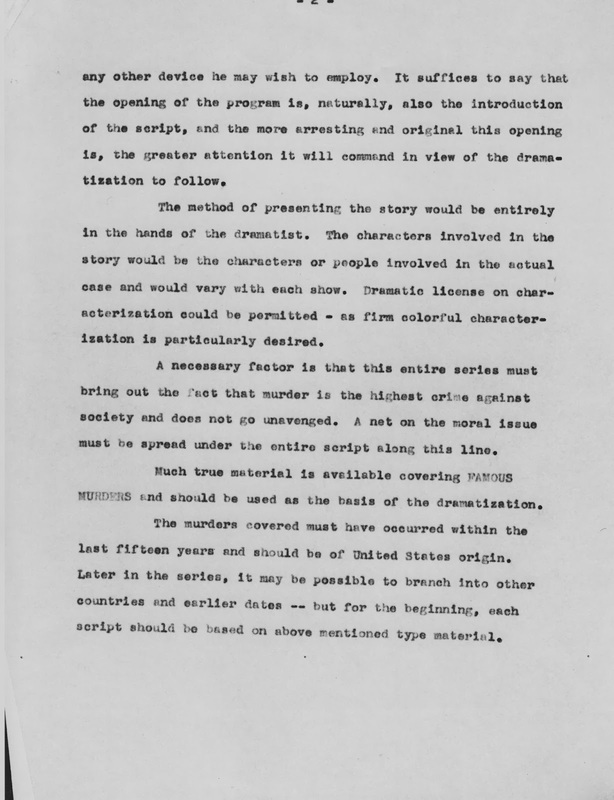 This included (among his proposal), adaptations of Les Miserables, Vanity Fair, Manon Lescaut, Oliver Twist, The Marble Faun, The House of Seven Gables, The Woman in White, Dr. Jekyll and Mr. Hyde and An American Tragedy. Naturally, CBS rejected the proposal based not the fact that adaptations of crime novels has been done many times. 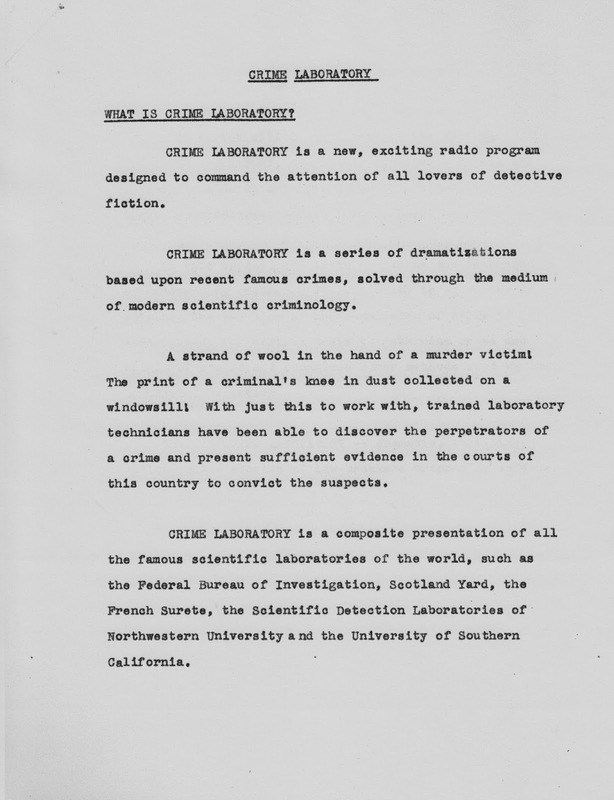 For your amusement, I am featuring scans of other radio proposals from FAMOUS MURDERS, THE CON GAME and CRIME LABORATORY. Naturally, the success of GANG BUSTERS was the inspiration for such proposals and while Lord never succeeded in interesting the networks or potential sponsors, his ideas are worth a peak. Like any popular culture, GUNSMOKE has been parodied so many times that it baffles the mind that anyone can keep track of them all. Fans of the television series MAVERICK remember the episode "Gun Shy," which spoofed the characters of Doc, Chester, Matt and Kitty. 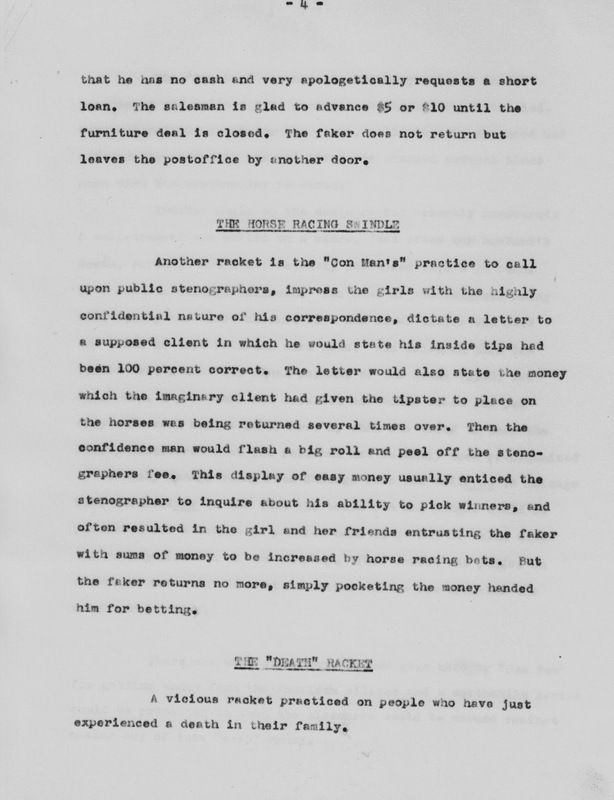 (For a quick glimpse and a laugh, visit this YouTube link: https://www.youtube.com/watch?v=dRR1-YUfZmM) In the March 1958 issue of Cracked -- the premiere issue by the way -- there was a spoof of the television series in what was described as a "parody." 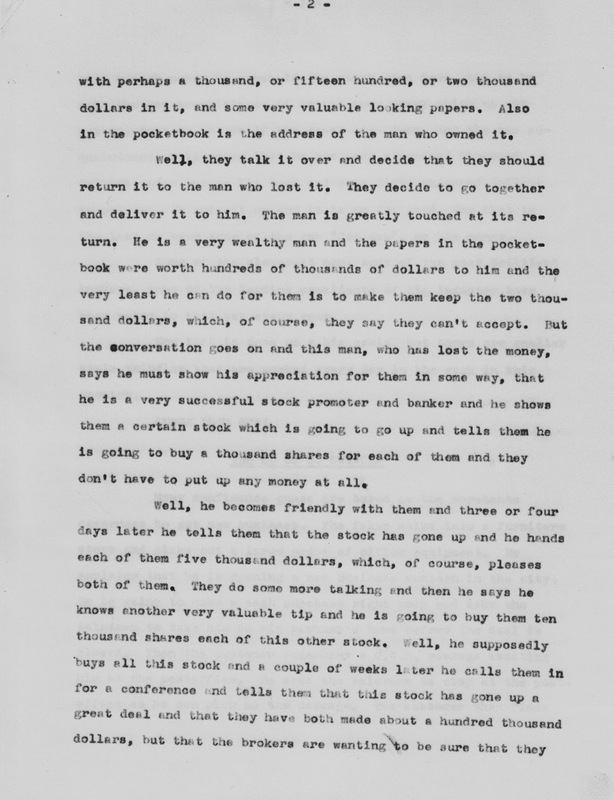 Finding a copy of the first issue in near mint condition will cost you a few hundred dollars so fans of Gunsmoke be prepared... you may find yourself spending a lot of cash just to read that parody. MAD Magazine spoof of the television series, Gunsmoke. MAD Magazine offered a number of spoofs including a funny one in issue #30 titled "Gunsmoked." It should be noted that MAD Magazine originally started out offering spoofs of popular radio programs ranging from Dragnet, The Lone Ranger, The Shadow, Inner Sanctum and Suspense. By issue 12, MAD began spoofing television programs such as What's My Line?, Dave Garroway, Howdy Doody and Captain Video. 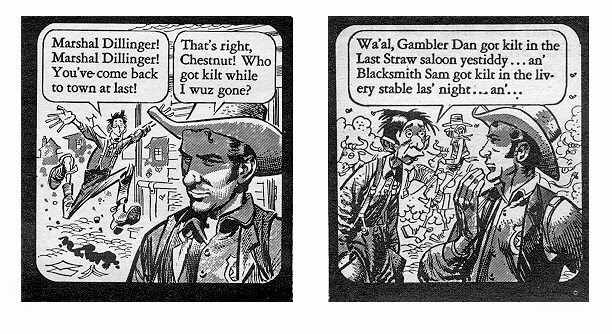 For a quick read of the Gunsmoke parody in MAD, click here: http://long-branch.tumblr.com/post/65055004892/gunsmoked-from-mad-magazine. 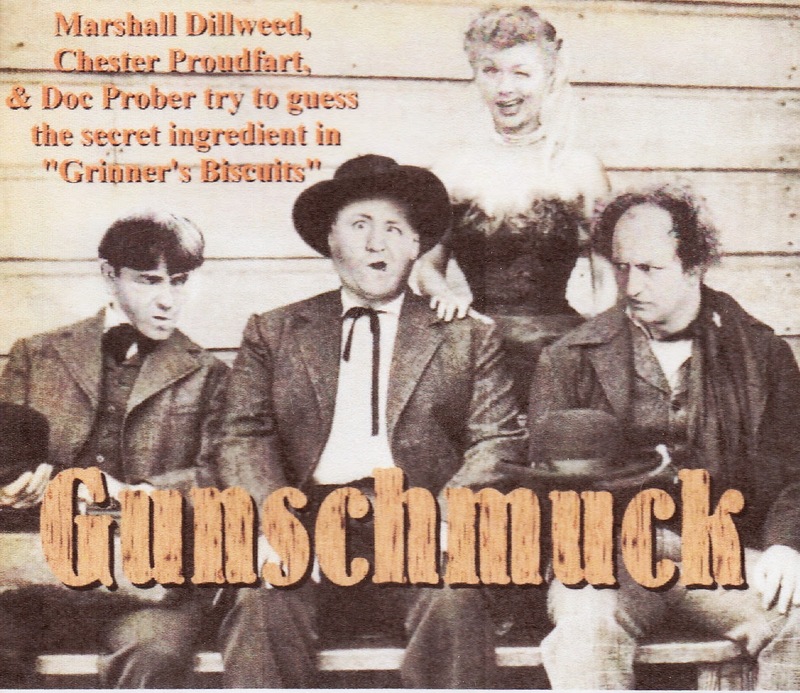 Gunschmuck audio CD: "Grinner's Biscuits"
And then we get to Gunschmuck, a new parody recently made available on CD, promoted on the packaging as "parodied to within an inch of its life." Marshal Dillweed and Chester Proudfart find themselves facing the same obstacles that William Conrad and Parley Baer went up against on the radio program. I recently had an opportunity to listen to these parodies and these have to be, by far, the best I ever heard. The new and fresh plots are the same type of stories you expect to hear on the radio program, but with a twist. Funny one-liners, slapstick, expert sound effects, great acting and a superb music score make this parody a notch above the rest. 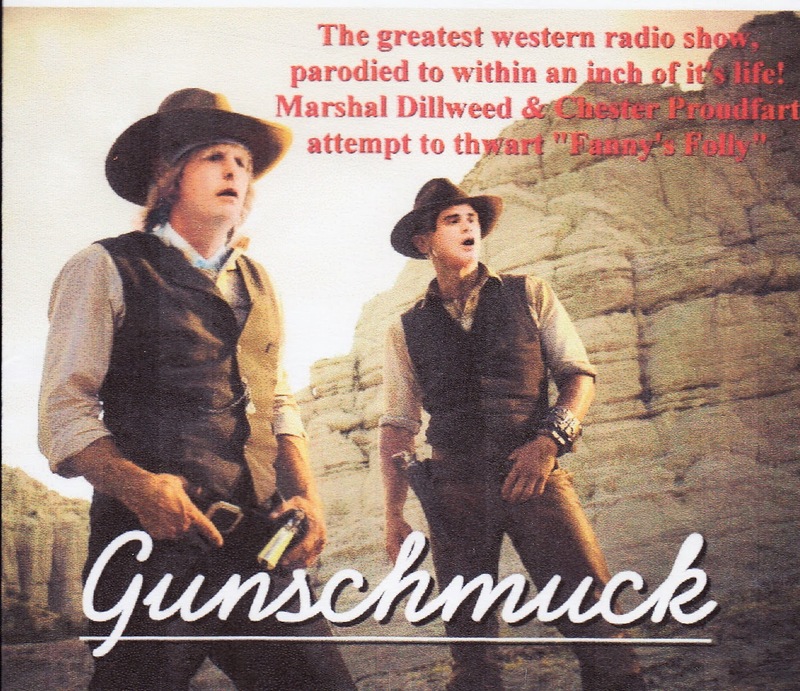 Gunschmuck audio CD: "Fanny's Folly"
The humor is not everyone's cup of tea but the jokes remain clean throughout that young children can listen to them without asking their parents what the joke meant. The only risqué joke featured Miss Kitty bragging about making a killing one evening, $300, and then apologizing to Matt for standing the rest of the night. And again, that's about as risqué and the only risqué joke that would be partially okay for young children... provided they don't understand the meaning. Or you can e-mail Steve at ilamfan@comcast.net for information about purchasing a copy of the Gunschmuck audio CDs. There is no giant faceless "record industry" involved, only a handful of talented artists who would love to receive a few queries about purchasing copies. I am sure you will enjoy these parodies as much as I did.